forHave you lost count of the number of shoes you have? Are there some that you’ve never even worn? Maybe there’s more than just your shoes… but an entire family’s worth of shoes that need some organization. Of course, the ultimate goal is to have all of your shoes quickly available to you, while storing them neatly and in an organized fashion at the same time. Even shoe trays get old (and messy) after awhile. So, if you’ve got a shoe collection that’s out of control, and you want to organize your shoes to make it easier to find exactly the pair you want each time, following are some great ideas. Step #1 – If you’re really serious about this, then you should start fresh by going through all your shoes and getting rid of any that are worn out or that you simply don’t want anymore. If they are new or they’ve hardly been worn, consider giving them to a thrift store or Goodwill. As for the rest… take any shoes that need to be repaired to the shoe repair shop (right away, or you’ll forget, or keep putting it off). Finally, give all of the remaining shoes that you are keeping a once-over to make sure they’re all clean and polished (if necessary) and ready to wear. Step #2 – Put all of your shoes into categories. You may want to further organize within those groups by color. Or, you could even let colors be your main groups to categorize your shoes by. Whatever grouping system makes the most sense for you and your personal style, do that until you have all of your shoes sorted into meaningful groups. 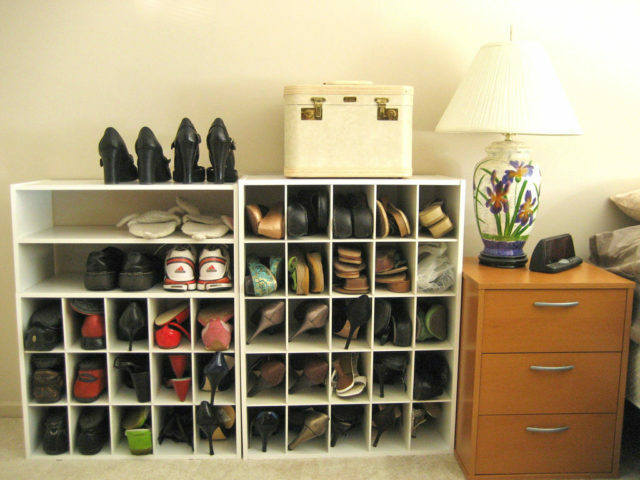 Step #3 – Use a shoe organizer (or a few of them), depending on space. 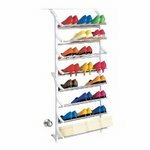 Just make sure that the type and style of shoe organizer you choose fits in the amount of space that you have available. This might differ by room, or by family member. 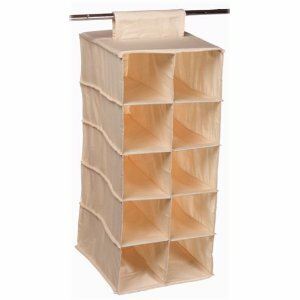 For example, an over-the-door shoe organizer might be best for a teenager, while individual see-thru shoe boxes would work better for you. 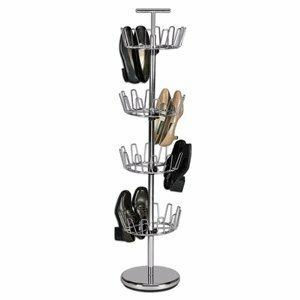 Using the categories you picked in Step #2 above, place each group within its own section of a shoe organizer. Or, if you have enough shoes and categories, then you might want to have a separate shoe organizer for each group itself. Step #4 – Label each category, as well as any shoes that aren’t in clear containers. Even if you prefer to keep shoes in their original boxes, keep in mind that the idea is to simplify the process of finding your shoes. You want to be able to find a pair of shoes quicker and easier than ever before. So, yes you may be able to read the side of the box or see the image that’s already printed there, but only when all of your labels are identical is the process actually simplified and meaningful to you. The same is true with labels made from a label maker. Consistency is key. It’s easier to find things when there’s a pattern and similarity to the labels used. 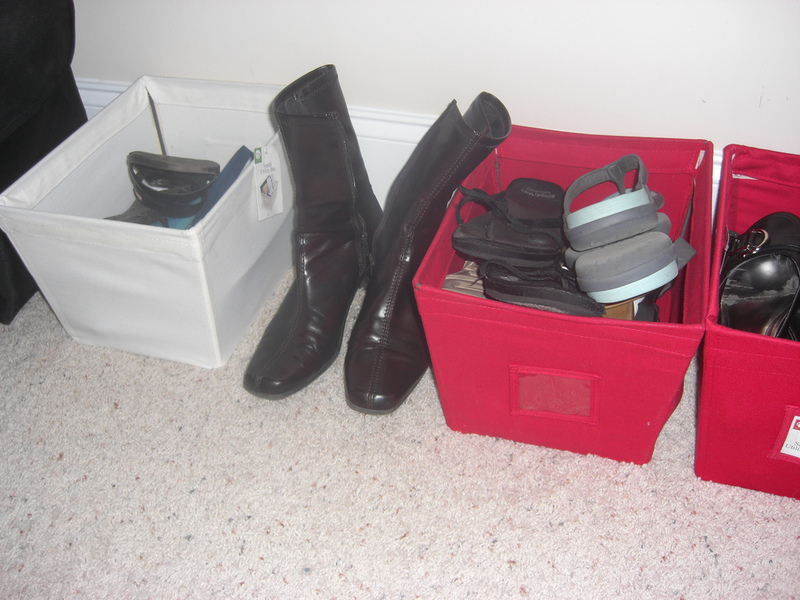 Step #5 – Keep all shoe care supplies near your shoes. That way, nicks scuffs, and scratches can quickly be dealt with as you see them. Plus, your shoes will always stay in tip top shape! Just remember, shoe organizers are useful in places beyond the bedroom. 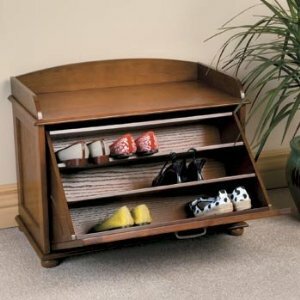 That’s the most common place that people use them, but over-the-door shoe organizers can be hung over ANY door. Think about the door between the garage and the mudroom, a closet door near the entryway, or even the backside of a garage or attic door. Most other types of shoe organizers could also be used in rooms other than the bedroom as well — especially those which provide seating. They work great near the front door, the back door, the entrance to the porch, or in the garage. VIDEO: A Closet Ferris Wheel For Your Shoes!